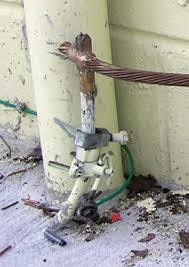 A good grounding system should provide the maximum safety from contact, electrical system faults and lightening. For a grounding system to perform efficiently over long periods of time, it should be designed and installed using reliable materials and proven techniques. Grounding is the most important factor that governs the safety and the quality of a power system. That’s on what Steven Mill wants to write today. Will you agree with his guidelines for safety and power quality? “Grounding, also known as earthing, provides a safe way for the fault currents to pass on to the ground (neutral). This avoids sudden voltage spikes in the distributed network system, safeguarding the electrical equipment from permanent or premature failure. Grounding systems are generally designed keeping low-impedance paths in mind.